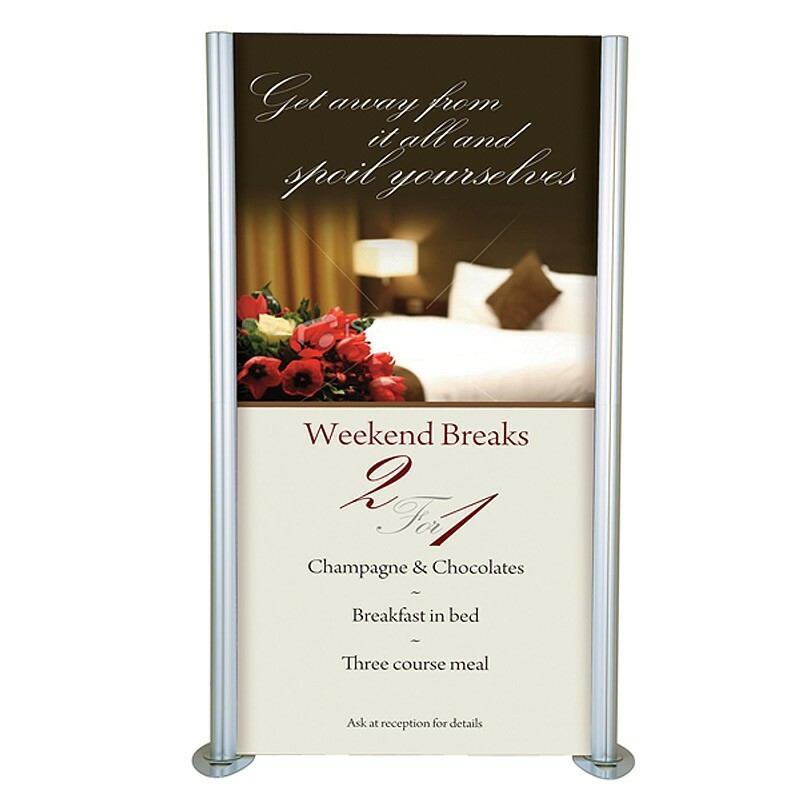 The trade show booth linear kit is designed on aluminium framed profiles of round and oval with 75mm diameter posts. It has steel oval shape bases and a complete modern finish of satin silver. It is ideal for showcasing printable looped fabric graphics and posters. The complete frame of the Trade show booth kit is made of genuine 100% aluminium material giving the frame structure a strangeness and rigidity. This Modular Display unit is simple and effortless for a quick installation. The portable design helps in easily assembling with provided Allen key with the unit. 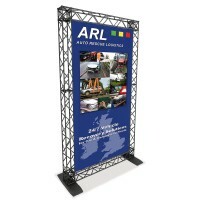 This trade show booth kit will bring your exhibit in the centre light. •	Material Used: the complete frame of the Trade show booth kit is made from genuine 100% aluminium material giving the frame structure a strangeness and rigidity. It doesn’t bend and bear the weight of heavy graphic posters with ease. The base is made of stainless steel material as per standard kits. 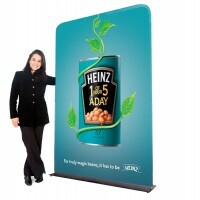 •	Size Options: this Trade show booth comes in 3 varied sizes of 1000mm, 2000mm and 3000mm broadness. The height remains of 2000mm and 400mm depth. The overall hardware unit is 250mm wider than the graphic width. The size can be customised according to the graphic images and designs. •	Usage: modular trade show booth is the best way to showcase your business in front of potential customers. Depending on how far the attendees can stand from your booth, display booth gives options of long-range, medium-range, and short-range with its varied sizes. It can be personalized with custom graphics to get your brand message across to onlookers.